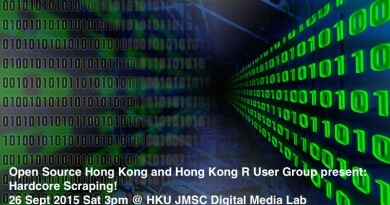 In Hong Kong, many information are available on internet but they are not published as open data, so we talk about the basic technique how to retrieve and extract data from raw HTML pages. This is a pre-event workshop of Open Data Day 2017 Hong Kong Hackathon, we hopes open data day participants can understand & learn the basic of python & web scraping. This workshop will be presented in Cantonese. Participants should download required Linux virtualbox image with python tools on their laptops before the workshop at home, and they should bring their laptops to attend the workshop. Hi, what is the prerequisite skillset for these workshops? It is better if you have basic knowledge of programming and Linux command line operation. Is there any seat available. I am started working on Python and would really interested in and want to join. Or would it be fine if I just stand aside and listen? Unfortunately it is full already, we hopes we will organise next python 101 workshop in near future. Can I join as well in the next python workshop ? We will organise next python event in early of July, please stay tuned.